Stephen Colbert ended Friday night's "Late Show" with a moment of reflection as the late night host addressed the gravity of the attacks that took place in Paris. "Folks, we end tonight's show with a heavy heart," Colbert said in the final segment of the show. "We taped all of tonight's show and then we found out about the horrific attacks in Paris today." On Friday, over 100 people were killed in Paris in one of of Europe's deadliest attacks in recent memory. Colbert spent the final moments of the "Late Show" explaining what had been reported so far during the afternoon taping. "I know that not much is known right now, we do know that there's been many deaths and the crisis is still ongoing," he told his audience. 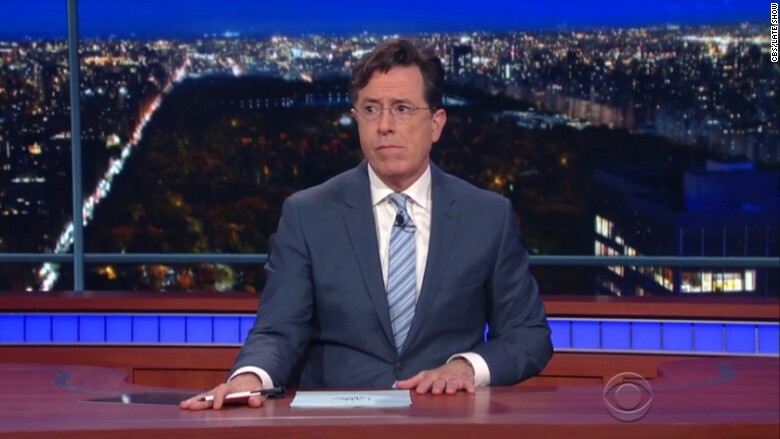 Stephen Colbert addressed the Paris attacks at the end of Friday night's show. The comedian appeared shocked by the day's events, not knowing what to say other than to send love to the people of Paris. "We add our thoughts and prayers to everyone in Paris," Colbert said, before taking a deep sigh. "And now, um, we'll see you on Monday... Good night." 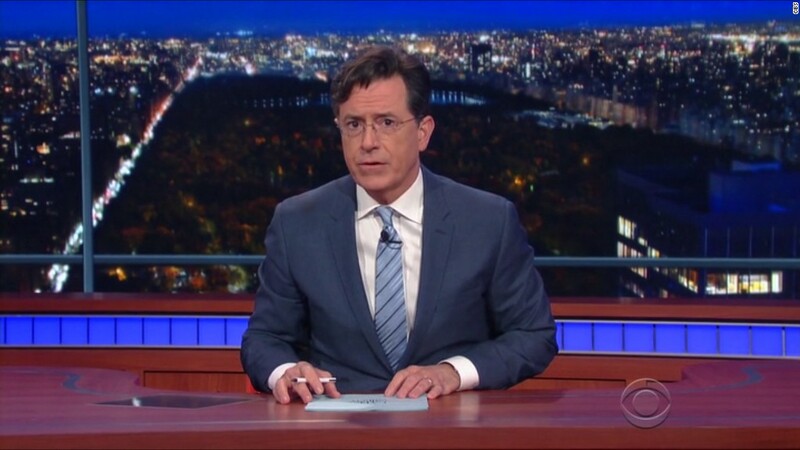 Colbert wasn't the only late night host to send thoughts to those in France. On Friday night, HBO's Bill Maher opened his late night show, "Real Time with Bill Maher," by speaking directly to those in the City of Light. "Before we get to the hilarity... I just want to say one thing to the people of Paris," Maher said, before singing lines from the French national anthem. Maher then pointed towards the camera and said, "Now, I'm not a very good singer, but that's my way of saying we're with 'ya."